Innovative Parking Barrier. Superior Modular Design. 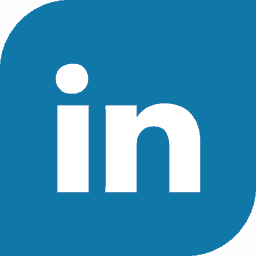 Keep up with the increasing demand for site security and protection. 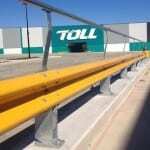 If your property needs to meet the loading requirements of AS/NZS 1170.1 and the BCA, update your car parking barrier system with RHINO-STOP® Type 4. 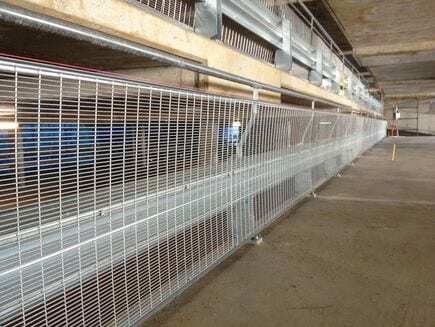 Trusted by councils and national companies, the RHINO-STOP® Type 4 car park barrier provides energy absorbing, reduced dynamic deflection for minimised damage and optimum security for vehicles and people. With a guaranteed ability to withstand 30kN impact load and a low deflection of just 91mm, the RHINO-STOP® Type 4 parking barrier remained intact after a full-scale test for impacts of up to 240kN. 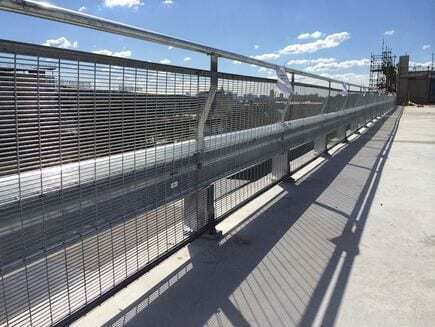 The rapid install system may be configured to accommodate balustrade or mesh infill attachments to provide greater fall protection for pedestrians where required. 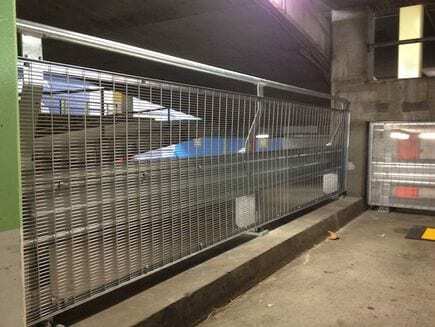 The modular car parking barrier system comes with a superior modular design to meet variable installation requirements. 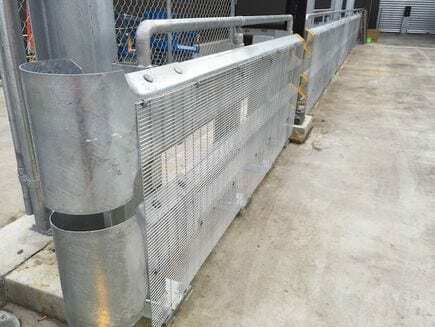 Find out how the RHINO-STOP® Type 4 barrier system can add security to your property, and how to meet and exceed the AS/NZS loading requirements. 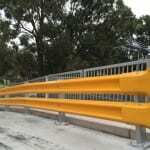 Contact our professional installers at Metal Fencing Specialists or call us on 1300 904 284 today. Full scale crash tested to evaluate performance and compliance. Modular design. 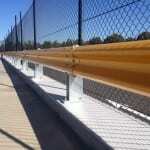 Can be configured to accommodate a balustrade or mesh infill when fall protection is required. Increased system stiffness when compared to flexible barriers. The system facilities cross flow ventilation in high rise car parks. Compliant to the 30kN impact load described in AS/NSZ 1170.1 for Light Traffic Areas. Demonstrated reserve capacity – able to withstand more than twice the prescribed loading requirement of AS/NZS 1170.1. Post deflection: 91mm (30kN impact). Number of anchor bolts per post: 1 (M20).